A new internet usage study has revealed that Netflix remains the untouchable behemoth of streaming services. 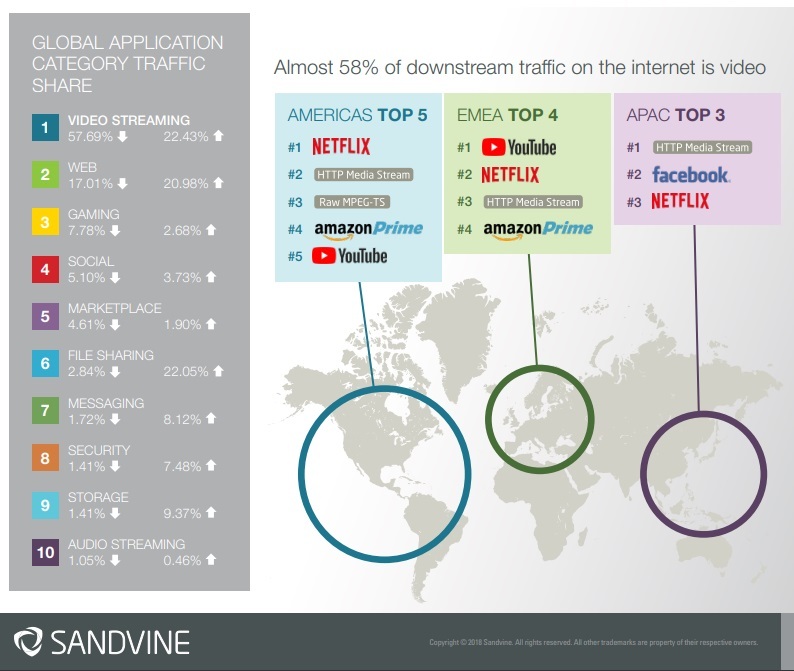 The Global Internet Phenomena report, conducted by networking equipment company Sandvine, found that Netflix accounts for 15% of all downstream internet traffic worldwide, with video representing 58 percent of the entire pie. The study also found that after years of decline, file-sharing now accounts for 22 percent of upstream traffic, with 97 percent of that going to BitTorrent. In 2011, file-sharing accounted for 52 percent of upstream traffic in the US. As Netflix grew and access to high-quality streaming video improved, that number decreased dramatically — to a mere 26 percent in 2015. 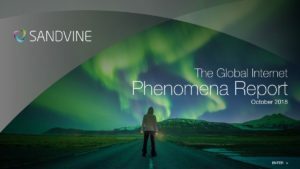 That trend is reversing once again, especially outside of the US, as more streamers produce exclusive content at ever-increasing cost to the consumer.